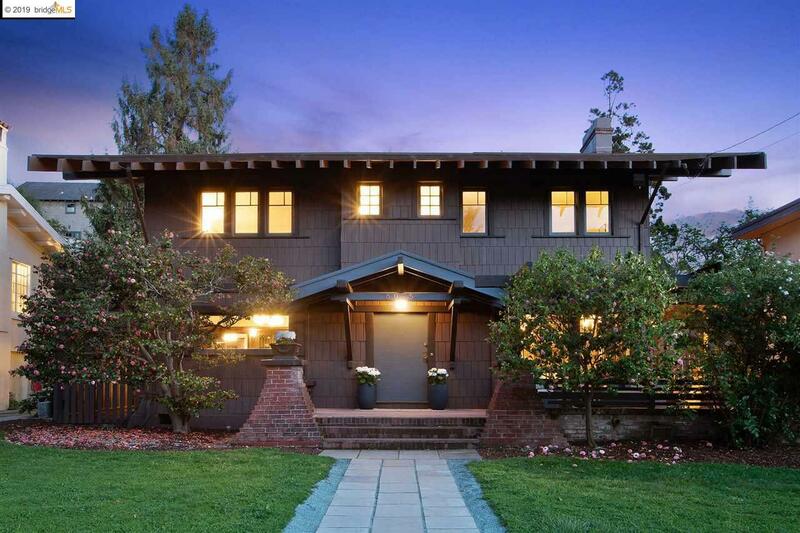 Majestic Prairie-Style 1910 Rockridge Craftsman in A+ Location! Just 6 doors in from the iconic White Renaissance Gates on Broadway, this property is thought to be the first home built on this notable block. Ahead of its time, this home features 4+ bedrooms and 2.5 bathrooms, an open, gracious floorplan on the main level with an intimate parlor open to the sweeping living/dining rooms. Additional spaces like the breakfast nook, laundry room, and au pair quarters off the kitchen (with sep entrance), and cozy reading room upstairs, make this a well-appointed residence. A broad staircase leads the way to a large central landing and primary sleeping quarters upstairs. Pasadena-based architect G. Lawrence Stimson went on to build a replica of this design for his own family in Pasadena. Walkable to the vibrant Rockridge shopping and dining scene, BART station, and Highway 24 for commuting to San Francisco and beyond. A true forever home awaits you at 6025 Rockridge Boulevard!